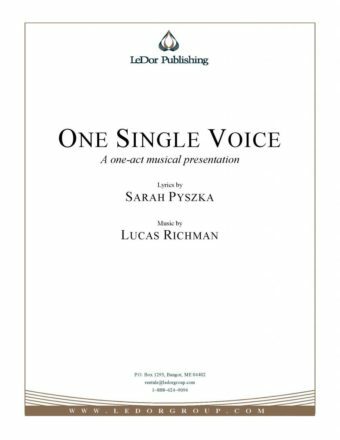 One Single Voice is a movement from an ongoing journey that began with the first songwriting collaboration between Sara Pyszka and Lucas Richman in the summer of 2001. Songs and spoken stories are woven together in such a way as to present Sara’s story of how a vibrant young author negotiates a life impacted by cerebral palsy. It is our mutual hope that this piece can open the doors towards a broader awareness about people living with disabilities and their desire to not be seen as being different. 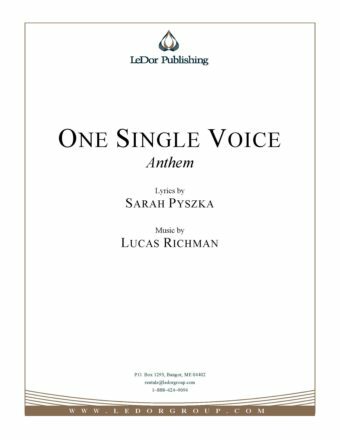 One Single Voice received its world premiere performance at Pennsylvania’s Woodlands Foundation on July 9, 2014.